My name is Marc Smith. I have taught in secondary schools across the north of England since 2004, mainly A level Psychology but also Sociology, RE and Philosophy & Ethics. I have also designed and delivered a ten-week introductory course in psychology for adult learners. The Emotional Learner represents a combination of my experience as a teacher and my time as a postgraduate researcher, investigating the role of emotions in the ability to bounce back from both low-level stress and extreme adversity. I have a BSc Honours degree in Psychology, a Postgraduate Certificate in Education and Masters degree in Education. I have also been awarded Chartered Psychologist status by the British Psychological Society (BPS) as well as Associate Fellowship. 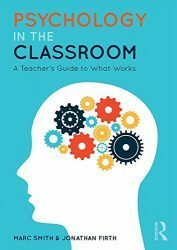 In addition to The Emotional Learner, I am co-author (with Jonathan Firth) of Psychology in the Classroom.